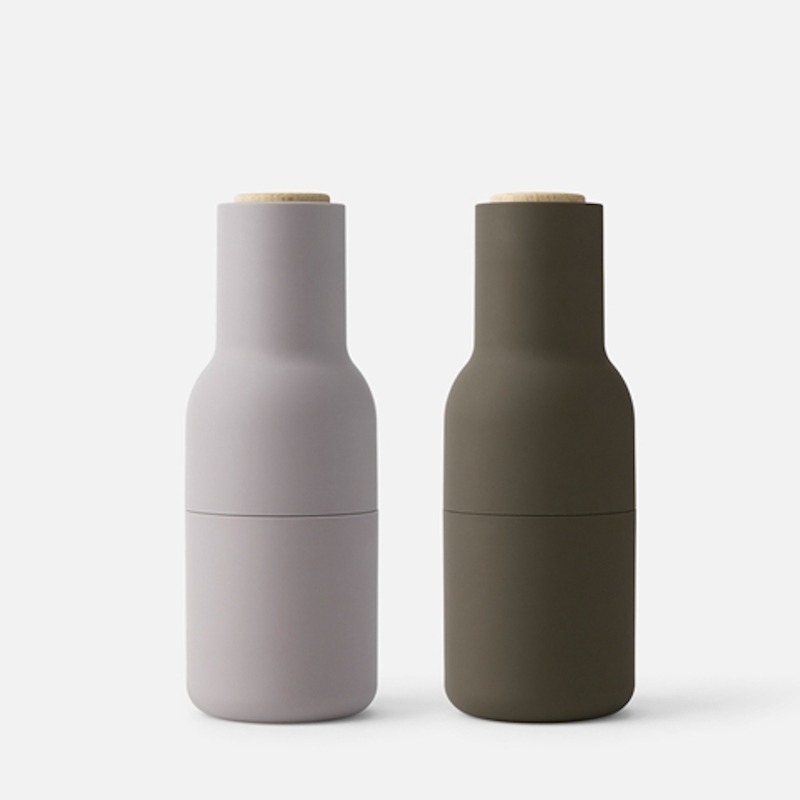 Bottle Grinders look nothing like the salt and pepper grinders you're used to. You simply open them, fill them with delicious ingredients and close them again. The unique, inverted design ensures that salt, pepper, pumpkin seeds, walnuts Ð or whatever you fill them with Ð only sprinkle out when you grind, leaving no trace on the table or in the kitchen. Menu's Bottle Grinders have a rounded base that fits perfectly into the hands, and have a rubber surface that's easy to grip and to clean. They come in a range of beautiful, soft Scandinavian colours including blues and greens. Not dishwasher safe. Bon appétit.